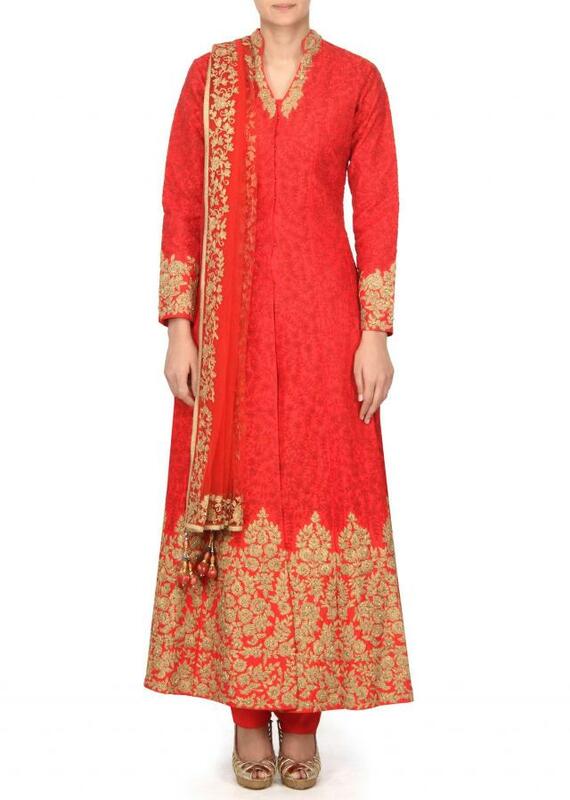 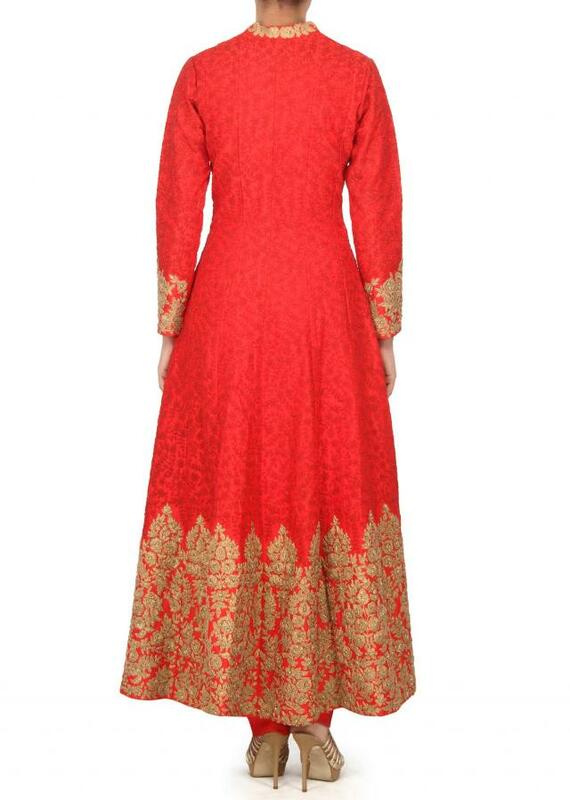 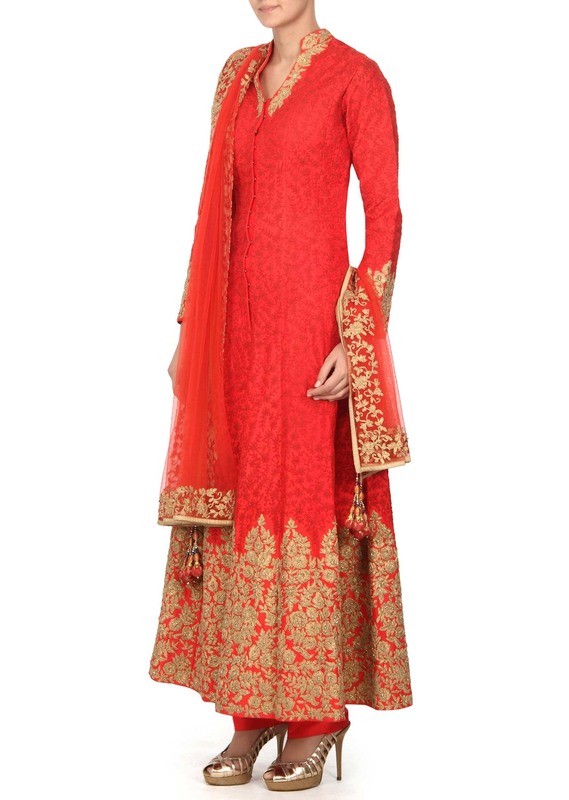 Orange anarkali suit feautring in raw silk. 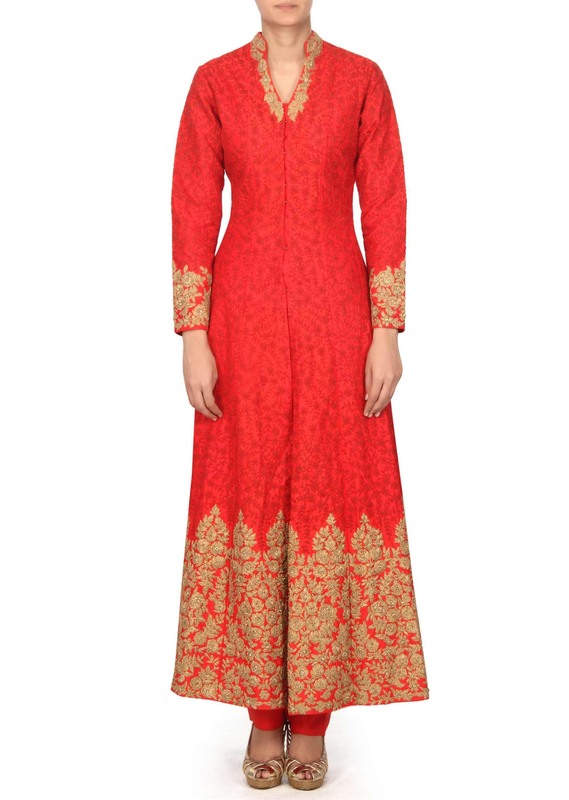 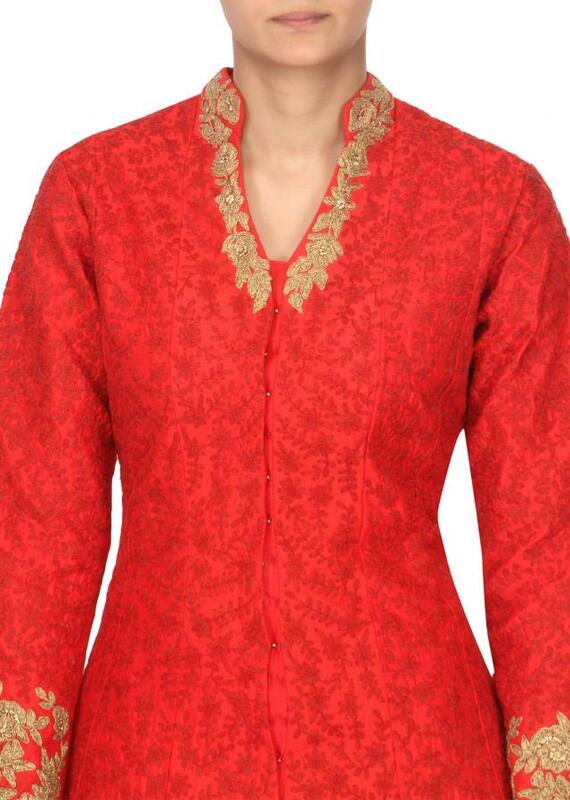 Its embellished in thread and zari embroidery all over. Matched with orange silk pant and net dupatta.